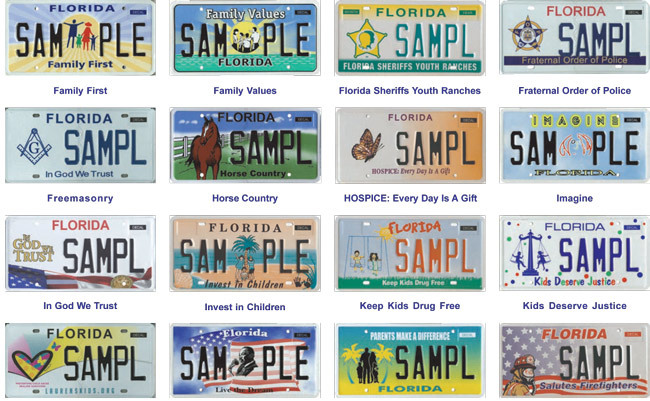 It’s not as if Floridians need more specialized license plates. They already have more than 120 to choose from, including such specific shout-outs to the large-mouth bass, freemasonry, soccer, and just about every professional sports team, college and university in the state. And yet, beginning this week, Floridians have four new designs from which to choose when buying a specialty license plate. The American Legion (approved two years ago) and the Florida Veterans of the Armed Services plates are recent additions to the selection of specialty tags, and the Tampa Bay Buccaneers and Florida International University tags feature updated designs. The American Legion plate depicts a soldier, the American Legion emblem, and the American flag. A portion of revenue generated from sales of the $25 plate goes to the American Legion Department of Florida, which supports Boys State and Auxiliary Girls State programs, as well as the American Legion Department of Florida Veteran Affairs and Rehabilitation program. The Florida Veterans of the Armed Services tag joins the list of more than two dozen military or military related specialty plates and is available to any United States Armed Services veteran who meets the eligibility requirements. Those requirements include proof of vehicle ownership, Florida residency, veteran status, and release or discharge from any U.S. military branch. The Tampa Bay Buccaneers specialty plate, which was first issued in 1998, now features the team logo on a pewter background. Proceeds from the annual sale and renewal of the Buccaneers license plate benefit the Professional Sport Development Trust Fund and the Florida Sports Foundation. The Florida International University specialty plate also has a new look after first debuting in 1987. The school’s panther mascot and “Go Panthers” are displayed on a white background. The sale of the Florida International University plate generates revenue for academic enhancements at FIU. Floridians can select from 123 specialty plate designs that were created to support collegiate, environmental, wildlife, military, sports, and special interest groups. There are also 27 special military tags. The designs can be viewed below. Red light camera license plate anyone?